The county council elections on May 2nd wiped a lot of blue off the political map for Lincolnshire as a whole. The council moved from Conservative-controlled to no party being in overall control, with UKIP gaining 16 seats, particularly in the areas around Boston. 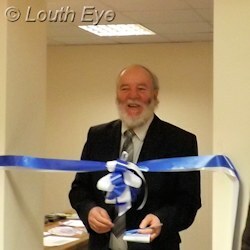 Hugo Marfleet held Louth Wolds, and John Hough held Louth South. However Tony Bridges took Louth Rural North, pushing Jean Johnson, the independent who had held the seat as a Conservative, into fourth place. In Louth Marsh UKIP candidate Daniel McNally ousted R.J. Palmer, the Conservative incumbent. Meanwhile Labour's Sarah Dodds took Louth North from Conservative Pauline Watson, by a margin of 323 votes. The fact that the Conservatives lost ground should be no surprise: we're in the middle of a depression, and people want change. So even in a true blue heartland like Lincolnshire it's not guaranteed that people will vote Tory. The turnout was rather discouraging, but not nearly as low as we've been seeing in the town council elections. This apathy is puzzling, in the sense that there was everything to play for in this election. Nobody knew what effect the rise of UKIP would have on the results, and in many cases the way they altered the vote has made the outcome unpredictable in seats that might formerly have been considered safe. Edward Mossop has pointed out that Tony Bridges retained the seat for the Conservatives, because independent Jean Johnson was the incumbent councillor but was deselected by the local Conservatives in favour of Mr Bridges. So he didn't gain a new seat for them, as I originally reported. I'm happy to make this correction.